Law firms often spend countless hours, which equates to a great deal of money, on developing firm strategy, marketing and business development plans. All too often, the plans collect dust until a quarterly or biannual partnership meeting rolls around. Not only does the firm fail to recoup that initial investment, it also suffers the hard costs and opportunity costs associated with funding initiatives that do not support firm goals. There’s a relatively easy fix to this phenomenon. It involves less work and more action, which equates to more revenue and less lost hard and opportunity costs. The secret: Create your plans with a streamlined focus, to achieve firm goals and require quick action from members of the firm. The secret is not in the plan; it’s in implementing the plan, fast and efficiently. The first step is to establish comprehensive firm goals and then communicate those goals to everyone in the organization, completely and often. When I lived in Virginia, I shopped at a local supermarket chain that printed the company’s goals on its grocery bags. Every employee had the goals in front of them and it was apparent in their actions. Law firms should make it a primary commitment to establish goals and make sure they are over-communicated: post the goals on all computers as the screensaver, post them in office common areas and discuss them at meetings. Next, make sure that firm, practice group and individual attorney marketing and business development plans support firm goals. If groups and/or individuals create plans with initiatives that do not support firm goals, firm resources shouldn’t support those initiatives. And put the emphasis on implementation – reward those who show continued effective action. Develop the firm’s primary business goals, limit the number and make sure they are measurable. Communicate, communicate, communicate, and make sure everyone in the firm is aware of the goals. 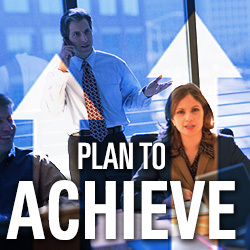 Create actionable marketing and business development plans that support the firm’s goals. Offer support for implementing plans and moving initiatives along at a sound pace, and recognize and reward success. Share success stories and tie them to achieving firm goals. Feel free to comment below or email me at sremley@jaffepr.com. SVP, Marketing & Business Development - Partners with her clients to develop and implement marketing and business development programs that increase the bottom line.